We are engaged in offering Viola Tailpieces. 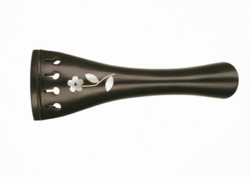 We are dealing in Boxwood Viola tailpiece . We are one of the best supplier of Viola Tailpieces. We are prominent supplier of Viola Tailpieces. We are also supplying Viola TailPieces. We are famous supplier of Viola Tailpieces. Our products well designed highly standardized and durable. Laying emphasis on finish and design, our range of viola french tailpieces are available in different types like black saddle-rosewoood, ebony wood and boxwood. These products are known for their sizes and designs. 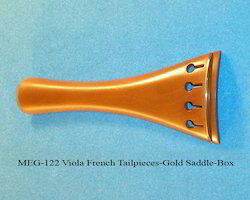 Offered in different models, these viola french tailpieces are widely demanded by our clients. We are supplier of Viola Tailpieces. We are top notch supplier of Viola Tailpieces. We are offering Viola Tailpieces.